You remember when your grandfather used to say to you: “You get what you pay for”? Well, when it comes to paying physicians, he was right. Money is the great motivator and when you give someone a bonus, you do it to motivate a specific behavior. There are all sorts of ways to make bonus incentive plans for physicians and over the past 30 years, I’ve seen a lot of them – either from personal experience or from the experiences of other physicians around me. There is not a single best bonus plan for all physicians at all times – the best bonus plan is the one that rewards the behavior you want rewarded at that particular time. Here is my take on different bonus plans. What Are You Going To Bonus? This is the idea around socialism. On the surface, it sounds aspirational and would be the ultimate expression of egalitarianism. But in reality, it goes against 200,000 years of human evolution. Countries that base their national economies on socialism tend to either fall behind other countries in productivity and personal income or they convert to capitalism. On a more modest scale, communes tend to fade away after a few years as their members realize that they can do better for themselves outside of a collective ownership community. Physicians in particular make poor socialists (at least when it comes to their own compensation plans). We are driven to succeed from the time we were in high school – otherwise, we never would have made it to medical school in the first place. Highly productive people want to get rewarded for being highly productive. When you put physicians in an environment where they no longer are rewarded more for working harder, guess what? They stop working harder. I’ve seen this happen in several practices – the physicians decide to eliminate a productivity-based bonus plan for altruistic reasons and shortly thereafter, the most productive physicians leave and the overall productivity of the practice drops. The practice then either has to cut expenses or they run deficits. Many academic medical practices work this way as a means to avoid disenfranchising those physicians involved in research and education. Many government practices also work this way and it can result in inefficiency and backlogs since there is no incentive to work more efficiently or longer hours. The bottom line is that adopting no bonus plan is not a solution for practice longevity. The only times these are useful is in the start-up years for young physicians who need a period of guaranteed salary to establish their practice and in practices where you are paying physicians by increments of time, such as by the hour or by the shift. These plans give the physician a base salary and then a periodic bonus based on a percent of their collections. The advantage is that it is simple and straightforward. If you are in a solo practice, this is the reality of your income. It is the so-called “eat what you kill” model of practice. However, in a group practice, this can be dangerous because it promotes picking patients based on that patient’s insurance plan. There is inevitably 1 physician who figures out how to game the system and only sees patients in the clinic location with the best payer mix or figures out how to divert all of the Medicaid patients to one of the junior members of the group. I know many physicians who lament for the days before the invention of the RVU. But to my view, that is like lamenting for the days before the United States used the dollar for currency. When you are paying a physician by the RVU, you are paying them for the work they do, rather than their payer mix, etc. 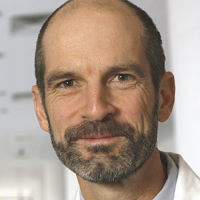 The downside of RVU-based productivity models is that it may not necessarily align with the group’s success – you can pay a physician to work a lot but that work may not be translating into the dollars it takes to fuel the group if the physician is primarily seeing uninsured patients or patients with Medicaid. If you do decide to go with an RVU-based incentive plan, then you have to decide whether you are going to bonus for work RUVs or total RVUs. This becomes important when different activities in the group have different degrees of overhead expense which translates to different work RVU:total RVU ratios. For example the work:total RVU ratio for new inpatient admissions averages 0.67 (because of less overhead expense for inpatient care) whereas the work:total RVU ratio for new outpatients averages 0.47 (because of more overhead expense in ambulatory practice). In a practice with a blend of inpatient care, outpatient care, and procedures, the work RVU is usually the safer metric to use. As a hospital medical director, I like quality based incentive plans because they can promote things like reducing readmission rates, improving patient satisfaction scores, and improving medical record documentation. But these plans not only help the hospital, they can also improve the reputation of the group practice in the community as well as improve the position of the group when it comes to negotiating reimbursement rates from commercial health insurance companies. These plans can be particularly useful in situations where the physician cannot control patient volume, such as the attending physician on an inpatient teaching service subject to an ACGME-legislated patient census cap – in this situation, no matter how many hours the physician works or how efficient the physician is, there is a defined limit to the number of RVUs that physician can generate. The best current example of this model is the accountable care organization. In his model, the physician reduces the cost of care for a group of patients over the course of a year while still meeting specified quality standards and then at the end of the year, they get a certain percentage of the total amount of money saved that year. For this to work, there has to be complete buy-in by the physicians because you are asking them to bill less (translate: earn less) on the promise that they will get a bonus at the end of the year. If it works, then the physicians are getting paid for value rather than getting paid for volume. But at the end of the year, if the savings don’t meet expectations, then there may be little or no bonuses for those groups of physicians that looked for ways to reduce their billable income and then those physicians get discouraged that their income is low and leave for other models of practice. Once you decide on what you want to bonus, you have to decide whether you want a high base salary with a small bonus or a low base salary with a large bonus. The higher the base salary, the more the compensation model starts resembling socialism where as the lower the base salary, the more the compensation model starts to look like the physicians are working on commission. You must strike a balance between productivity complacency that comes with a high base salary and the personal financial uncertainty that comes with a low base salary. 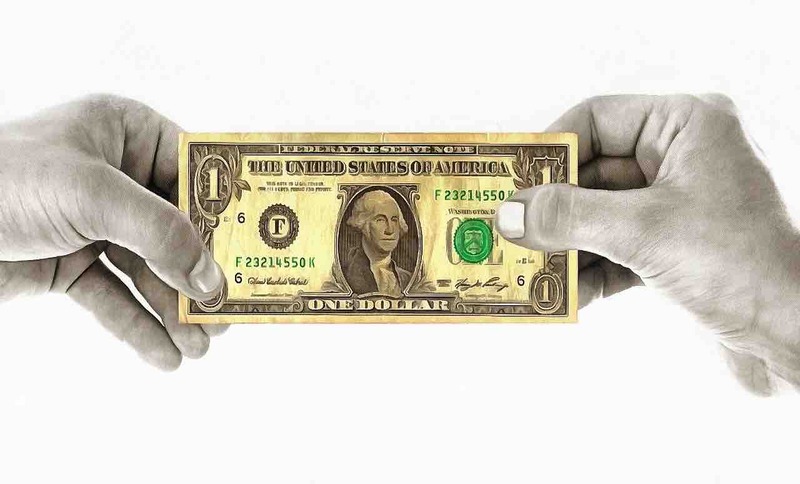 There is not a single best base salary:bonus ratio – it will vary depending on the specialty and the unique circumstances of the practice location. For example, you will want a highly compensated proceduralist, such as a Mohs surgeon or a cataract surgeon, to have a high volume of procedures so you may want these physicians to have a lower (relatively speaking) base salary with a higher bonus potential to incentivize them to do more procedures. On the other hand, a physician whose productivity is not based on factors that he/she can control (such as an emergency room physician) will likely be better suited for a higher (relatively speaking) base salary. In order to be competitive, you have to be careful. Lets take two hypothetical practice groups: hospitalist group A that has a relatively high base salary and then gets bonused when the daily RVUs exceed 35 and hospitalist group B that has a lower base salary but the bonuses start when the daily RVUs exceed 25. The invisible hand of capitalism will guide the most efficient and productive hospitalists (which are usually the most senior and experienced hospitalists) to group B because they will figure out that at the end of the year, they will make more money for being more efficient and seeing more patients. Group A will tend to attract younger physicians and those that are less efficient in their practices. Make the bonus plan simple. 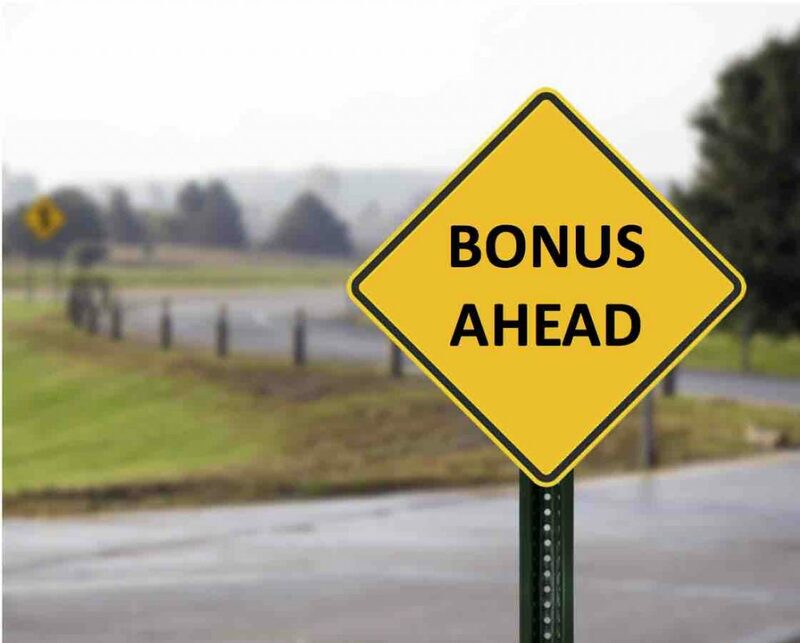 Avoid having too many variables in the bonus plan – if there are more than 4 different metrics, then the plan becomes confusing and it will not be clear what you are really trying to incentivize. Don’t make the bonus plan too simple. If the only thing you reward is lots of RVUs, you’ll get lots of RVUs at a cost of quality. Consider prorating RVU productivity based on quality outcomes, such as patient satisfaction. Make it realistically achievable. A bonus plan based on a family physician billing 10,000 RVUs won’t work because it is nearly impossible for for a family physician to bill that much. A bonus plan based on improving patient satisfaction from the 30th percentile of a benchmark to the 90th percentile of the benchmark will fail because it is in general simply not possible to make that big of a jump in that short of a time period. Align the bonus plan with the local reimbursement model. In a pure fee-for-service payment system, you are going to want to bonus volume. In an accountable care organization, you are going to want to bonus value. Set the base salary at the appropriate level for the specific type of physician specialty and practice. Think really hard about unintended consequences to what you are bonusing. They are always there and you need to anticipate them. If you only bonus RVUs, you’ll never get anyone to work the night shift (when there are fewer billable encounters). Develop a special provision for new physicians. They are not going to get up to the level of productivity of a more experienced physician in the first year or two; however, you still want to motivate their behavior. One way of doing this is to pay them the higher of either a guaranteed salary (with no bonus) that is higher than the base salary of the more experienced physicians or the low base salary with productivity bonus potential that you pay the more experienced physicians. Set the bonus distribution time correctly. It is hard for a physician to wait 12 months for a year-end bonus and by the time he/she gets the bonus, the work that they did to earn it is often out of memory. It is better to bonus on shorter intervals, such as every 3, 4 or 6 months. Be willing to change the bonus system next year. If you find that the metrics that you selected are unachievable or too easily achievable, then you will need to adjust those metrics. Also, the medical economics environment will change from year to year and so your bonus system will need to adapt accordingly. When you have a bonus plan, not all of the physicians are going to be equally motivated by the plan. Some physicians will rather work fewer hours or see fewer patients per hour and for them, these lifestyle implications are more valuable than the extra income they would get from a productivity bonus. But you don’t want to hold back your highly productive physicians by not having an effective bonus plan that helps fuel their productivity.